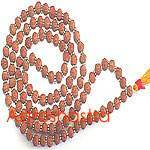 The siddh saraswati mala is the energised rosary comprising one twelve mukhi rudraksh , one eight mukhi and one nine mukhi rudraksh as the centre rudraksha and 5 four mukhi rudraksh on one side and 5 six mukhi rudraksh on another side and small five mukhi rosary making a total of 108 +1 beads Rudraksh Rosary. 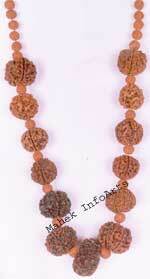 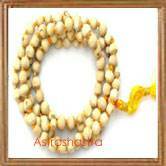 This mala is energised by performing saraswati homa on it and is specially made for students and professionals. 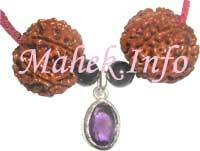 The wearer gets the blessings of Goddess Saraswati. 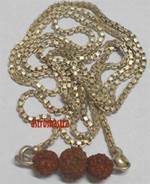 Sun god is always kind to the wearer of twelve mukhi Rudraksh, such a person always enjoys wealth, prosperity and worldly pleasures. 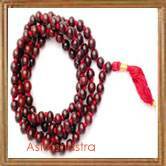 Along with Goddess Sarswati , Lord Sun the wearer of this Rudraksha get the blessing of Lord Ganesha and Goddess Durga and all the dificulties and faliures are removed and one enjoys sucess in career and studies.